Ever since September 1, 1961, when Hamid Idris Awate fired the first bullet from Mt. Adal heralding Eritrea’s revolution against the Ethiopian occupation, Emperor Haile Sellassie and his Eritrean allies have branded him as bandit (wenbedie) with a ragtag of Islamist and Arabist followers. 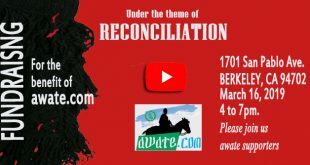 The Ethiopian regime tried in vain to defame Awate’s name by depicting him as an Islamist because it was wary that the revolution that a Muslim ex-soldier “nomad” had ignited would be followed by Christians. Haile Selassie’s rule came to an end in 1974, in no small part due to the revolution that this Eritrean “bandit” started. Haile Selassie’s successor, Mengistu Hailemariam, was ideologically different from the Emperor in every way except one—he continued Haile Selassie’s propaganda of labeling Hamid Idris Awate as a bandit and the Revolution he started as Islamist and Arabist. Of course, by then, the entire Eritrean population, Muslims and Christians, were fighting Ethiopian occupation and carrying Hamid Idris Awate’s banner, but Haile Selassie’s propaganda had a surprisingly enduring power—carrying over to some of the splinter groups. As the Eritrean revolution changed its demographics from rural to relatively urban, some of the better educated Eritreans whose idea of a revolution was learned from leftist books could not imagine a “nomad” launching a revolution and described him as an accidental revolutionary. But that was all par for the course. 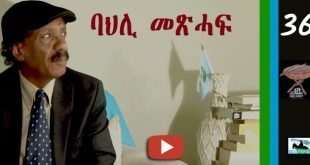 What is a surprise to many of us is that the assault on the person and reputation of Hamid Idris Awate is being waged even in post-independent Eritrea. The sixties, seventies and eighties were trying times for the Eritrean revolution and almost every family lost at least one of its members to the armed struggle. Some families lost scores and it is not uncommon to find parents who lost four, and five children. But those who were on the opposite side of the Eritrean struggle have never come to terms with their past. They have never forgotten that they were shamed when patriotic Eritreans registered victory. 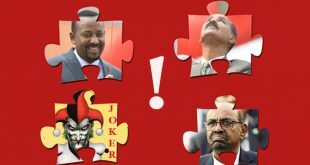 And though many are former occupational power chameleons who changed colours and collaborated with the victorious EPLF belatedly, deep inside, they seem to have kept their thirst for vendetta alive. And recently, with the tacit approval of certain circles, they seem to have launched a campaign to discredit Hamid Idris Awate. But that is a means to an end. Their true aim is to question the very foundation of Eritrea, the justness of its cause. 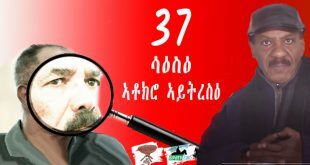 The goal is to discredit the entire Eritrean idea of independence by first discrediting Awate, then the revolution that he launched, followed by the entire struggle which produced an independent Eritrea, dating back to the struggles of the 1940s, to Waela Biet Giorghis, to the federation compromise. To erase everything that generations of Eritreans bled for. And their calling card seems to be the mess that Isaias Afwerki has made of Eritrea. Instead of saying that he is a failed leader, or that his administration is incompetent, or that it has betrayed the revolution, they want to expand the list of people they want to blame: and wouldn’t you know, it turns out that it is everybody except them! “Them” being those who were opposed to or indifferent to Eritrean independence. But the fact that Eritreans transitioned from an Ethiopian occupation to a totalitarian rule doesn’t negate the Eritrean idea. 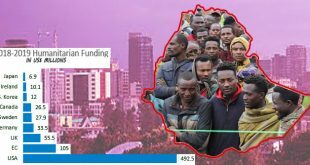 It is still there and no one can quell that Eritrean desire to stay free. 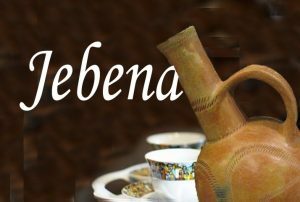 While most of us see our current predicament as temporary, some are using it as a validation to support their claim that the Eritrean cause was not just, and therefore the Eritrean statehood is doomed to fail. What do you expect from a revolution initiated by a “shifta”! 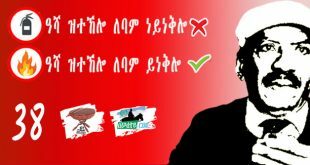 What is wicked about this campaign is the fact that the campaigners are using the issues of Eritrean minorities, namely Eritrean Kunama, to piggyback their mischievous designs. All of a sudden, those who degraded the Kunama, those who consider them their inferior, those who watched silently when they were robbed of their land and livelihood have now became the champions of Kunama rights! 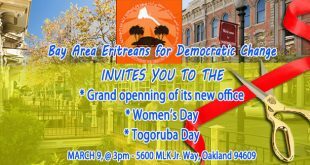 How amazing and selective—because these latter-day minority rights advocates, and bleeding hearts do not mention grievances of other Eritrean sections. Including the dispossessed and exiled extended family members of Hamid Idris Awate himself. If Hamid Idris Awate was of Afar nationality, they would find some grievance from an Afar nationality to blame him. 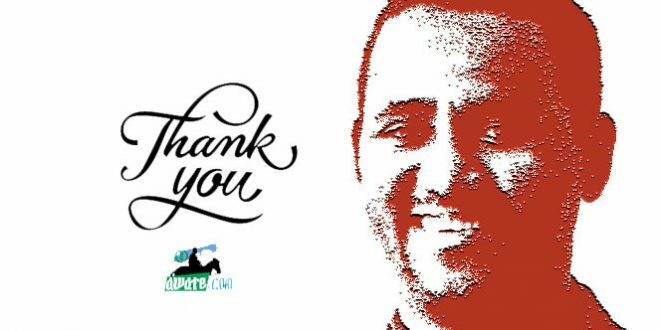 The foot-soldier who spearheaded this campaign is the leader of the Democratic Movement for the Liberation of the Eritrean Kunama (DMLEK), a Kunama national who thinks he has a monopoly on Kunama issues. Politics 101 says that you do not alienate people unnecessarily and this man chose September 1 to attack Hamid Idris Awate. How crude and tasteless and stupid. If fact, if we are just going to accept allegations at face value, DMLEK has so many opponents from the Kunama people itself and it is accused of worse crimes than what Kernelious is accusing Awate of. And not of incidents from decades ago, but of crimes committed months ago. 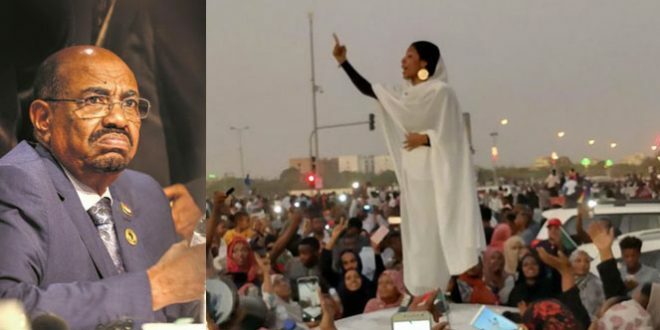 In Sudan, where a large group of Kunama veterans of the Eritrean armed struggle live, the situation is unlike the noise that Kernelious is managing out of Addis Ababa. But the political lepers who are campaigning against Awate found it convenient to present any criticism of Kernelious as if it was a criticism against the Kunama nationality. Cut-and-paste intellectualism like the recent one that appeared on asmarino.com will not cut it. Selecting an epoch from history and wantonly attaching the name of Hamid Idris Awate to it to defame his character will not stand in the face of a serious challenge and it will crumble. 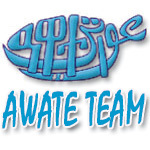 The Awate Team challenges anyone who is involved in this campaign to at least try some basic method of chronicling history (since no one has presented any evidence to the absurd claims thrown against Awate); they should be humble enough to at least present their allegation just as plain allegations of views and not try to hoodwink their listeners and readers into believing what they present is hard fact. Awate is not a symbol of a certain religion or a certain tribe, he is the symbol of all patriotic Eritreans who reject oppression and fight for freedom. Awate is about justice and gallantry; and political lepers and dwarfs can never stand at par with him. 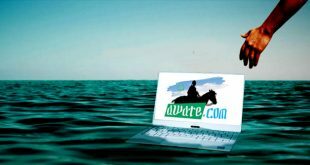 This website is named after Awate not without reason; it stands for everything he stood for and it will make sure that the freedom that he yearned for his people will be pursued. The equality that he envisioned will be pursued. And the dream of a dignified citizen that he died for will be realized. The goal of an independent state—not a vassal state, not an appendage state—will be pursued without equivocation. 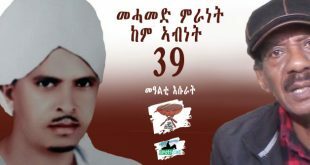 If the Hamid Idris Awate defamers want to know how futile their campaign is, they should remember this: it is not just Hamid Idris Awate who is venerated but also the day he launched the struggle (September 1), the place he stood up against an overwhelming Ethiopian military (Mt. Adal), the reason he initiated the struggle (independence), and the means he, and his followers, used to rally followers (patriotism.) In other words, their fight is not just with the who, but the what, where, when, why and how of Eritrea. No wonder they sound so frustrated. Otherwise, why would they discuss Hamid Idris Awate when the problems facing Eritreans now are more immediate and begging for solution? Some people seem to be confused with the whole idea of freedom of expression. It goes two ways: you have the right to express your opinion; and we have the right to express an opinion on your opinion. Kernelious (using 15 pen names) has the right to express his opinion on Hamid Idris Awate; and others have a right to tell him that he is wrong. But Kernelious is also a political figure who is part of a political entity: and that entity has a right to discipline those who violate its organizational charter. Of course, you can’t cure stupid: those who don’t understand the difference between censure (disapprove of) and censor (suppress) and want to display their ignorance publicly have that right as well. But freedom of speech is not unilateral disarmament: stupid people will be told they are stupid, and liars will be told they are telling lies.